One of the best low cost ammo out there. Contrary to the labeling on the box, this will not cycle any of my semi auto 22 rifles or pistols. I bought two boxes and I've been forced to shelf them. Cycles and feeds without problems in my Ruger MKII with PacLite barrel. Accuracy is fair. Cycles and feeds without problems in my stock Buckmark. Accuracy is great. Shoots as good as ammo that costs 3 times as much in this handgun. 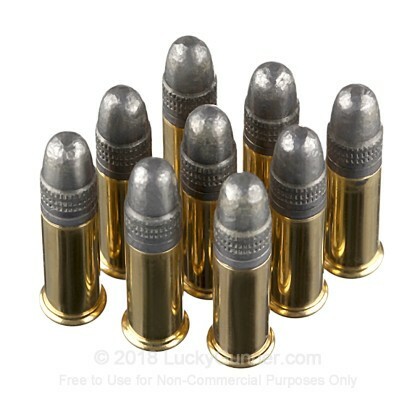 Very good ammo for the money. I have 3 different 10/22's and all of them work perfectly with this ammo. 2 of these have Kidd barrels and the other a Green Mountain. All of them have tuff buffers. All of them have "standard" strength Kidd recoil springs. Perhaps the Kidd spring is lighter than the factory Ruger one? Maybe that is why I have no problems with this ammo while others here do??? I am puzzled that many reporting here had major problems with this ammo in their 10/22's. I have read other people having problems with this ammo in Ruger 10/22 and the Ruger pistol. 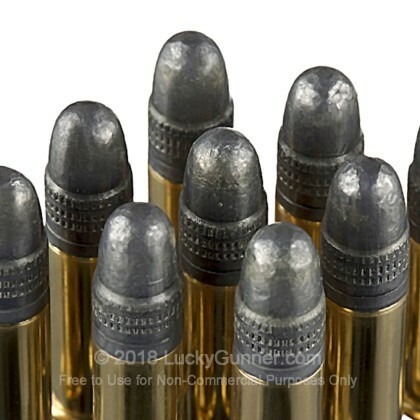 I have been using this ammo in Marlin 60, 795, Smith Wesson 22A, Sw22 Victory, Henry Golden Boy 22, and Smith Wesson MP 22 auto pistol and have not had any of the problems that these other gentlemen have been having it shots accurate and groups nice for me. 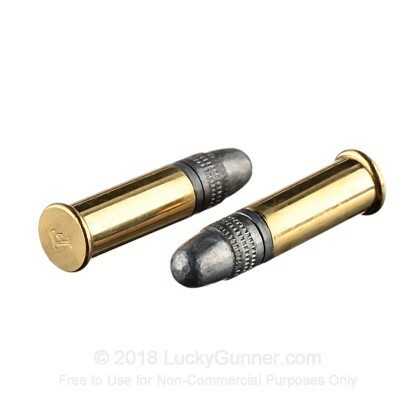 I have been using this ammo in Marlin 60, 795, Smith Wesson 22A, Sw22 Victory, Henry Golden Boy 22, and Smith Wesson MP 22 auto pistol and have not had any of the problems, it shots accurate and groups nice for me. My experience, Would not cycle in my new Ruger 10/22 takedown. Using Ruger OEM 10 round mags. FTE every 1 to 2 rounds. Also many FTL. As soon as i changed to higher velocity round, no problem. 1240+ fps. Noticed that as the gun warmed up performance increased, but not much. So, my recommendation is to buy a small box and test it in your gun. Glad I did, rather than get stuck with 3K rounds that just cause frustration. This stuff works flawlessly in my HK 416-22. Not too dirty and accurate from my experience. Says right on the box - Ideal for Semi-Autos. This is hands down the worst ammo in any caliber that I've ever shot. Every third or fourth round was a FTL or a FTE. Shooting from a fixed rest, it wouldn't even group decently at 25 yds. Got so tired of clearing jams that I gave up. Maybe my old .22 LR pump will handle it, but my Ruger 10/22 sure won't and I'm not even going to insult my MKIV by feeding it any of this garbage ammo. If the old pump rifle won't handle it, then I'm stuck with 3000+ rounds of this crap. The only thing it has going for it is that it's cheap. Lesson learned. 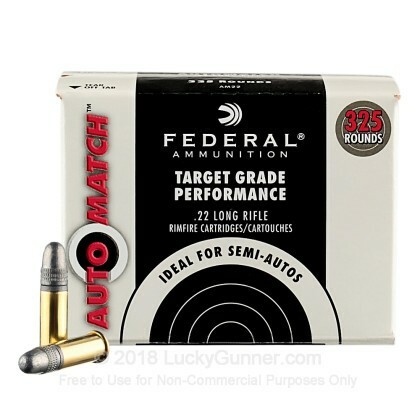 Q: For this "22 LR - 40 Grain LRN - Federal AutoMatch Target - 3250 Rounds". The picture on the box says 325 so I'm assuming that means you would send 10 boxes for the $179 price? 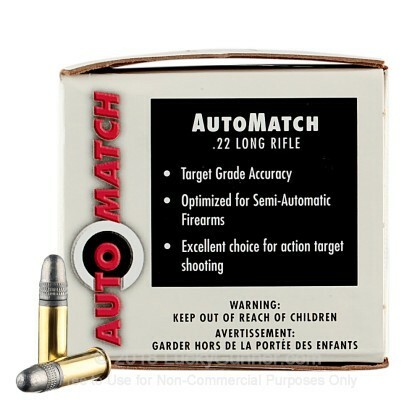 We also have this 22 LR - 40 Grain LRN - Federal AutoMatch Target - 325 Rounds ammo in stock in a smaller quantity.